Today and tomorrow is the time of year when Mexican families come together to honor their loved ones who have passed on. They often create an alter that they add photos of those who have died, add flowers and other offerings, most often special treats and sometimes a particular object that the deceased cherished or enjoyed. Many also go the the cemetery and celebrate at the gravesite for the two day period, drinking and eating and visiting with other family members. Once we even saw a hired band performing for a family who was visiting both with those above and those below the ground. We know of one Mexican family who travels some distance to the graves of their loved ones each year, including past boy friends! This web link will gives you further details. Today I want to honor the many friends we have lost this past year. We lost one more, just a few weeks ago, a special neighbor, who died while on a Panama cruise celebrating 57 years of marriage with his wife. Bob, you and Judy and Dwight and Stan and Scott and Ken and Reid will be missed and we honor you all today with memories of the times we have spent together. 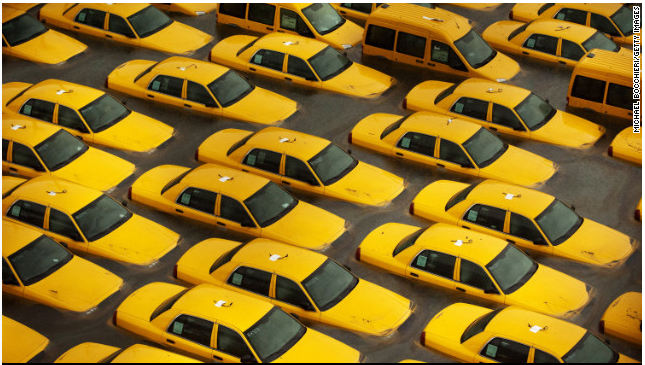 We also pay homage to the devastation left behind by Sandy. 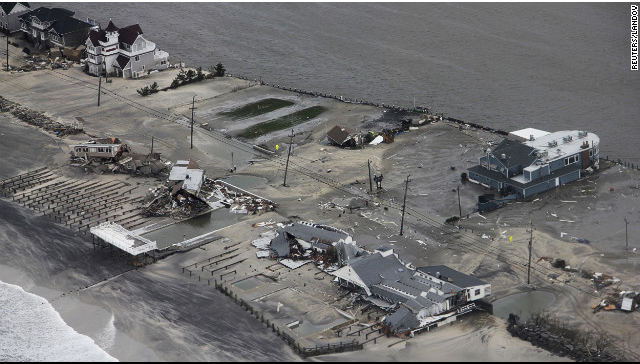 ...as does this photo of devastation of homes on a beach in New Jersey.